AND GET INTO SHAPE IN 20 MIN. future depends on a full and active lifestyle. That is the word that leads our work. a healthy, solidary, clean and happy world. AQ System offer the perfect results in short time. Lets Fit Spor Teknoloji Ltd.Şti. is the franchise founder of Lets Fit Corner, Gold and Premium Exclusive EMS Personal Training Studios in Turkey and TRNC. Lets Fit Ltd. Sti. has been working with many countries in terms of import and export since it was founded. 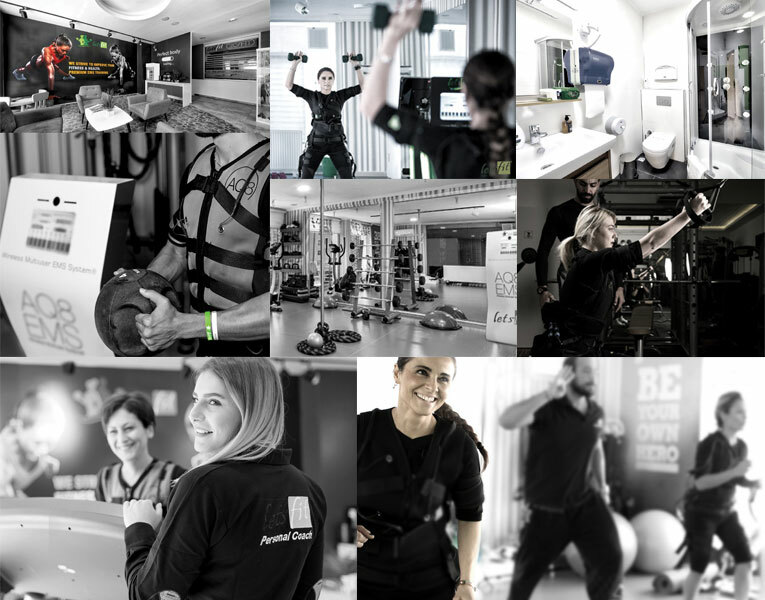 Lets Fit studios, with its distributor AQ8 Wireless Multiuser EMS System and with its ISO 9001 Quality Certificate, provide members with a healthy fitness habit and having a fit and fit body with 20 minutes training program with experienced coaches and dieticians. 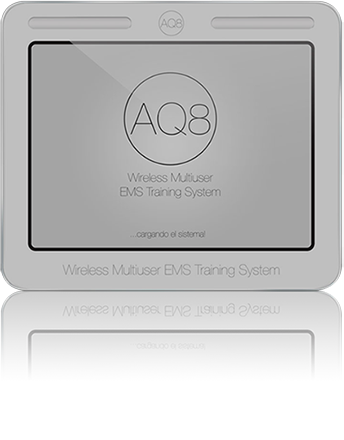 In addition, AQ8 System, with wireless connectivity features, allowing EMS training to be carried outdoors from the studios and allowing the sport to continue in the open air. Strengthening the muscles of the waist, neck and back under favour of applying special force to the desired muscles during sport, it is also possible to get rid of existing aches. Healthy diet is also offered as part of the Lets Fit program with our dietary program prepared by our expert dietitians. 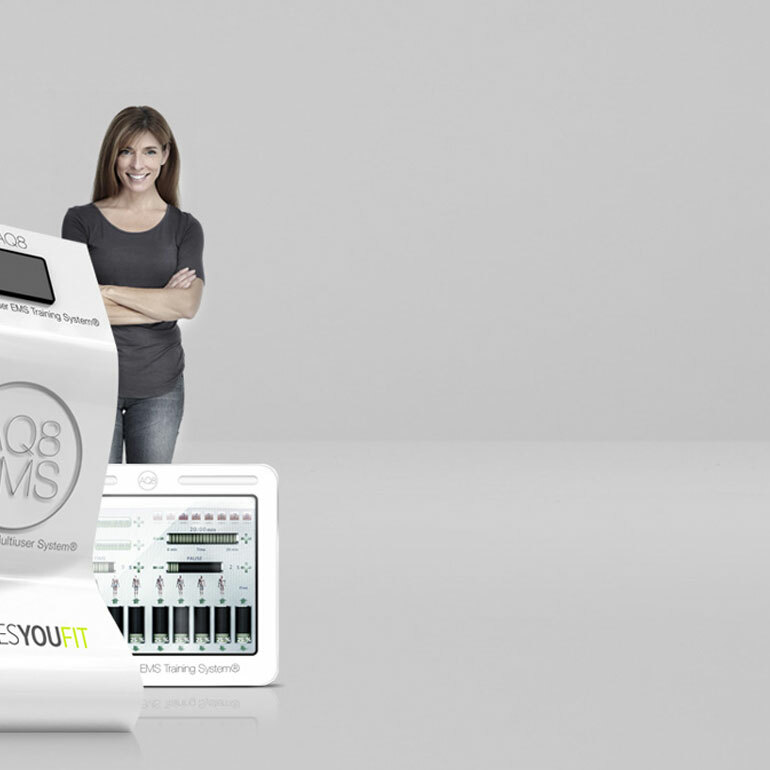 Our Lets Fit team, carrying out marketing and technical support in Turkey and in the TRNC, also sells AQ8 Wireless EMS system, with special package contents, for Sports Halls, Hotels, Physical Therapy Centers and Beauty Centers (treating cellulite and fissures). "Letsfit, YOUR HEALTHY SPORT HABIT"
We expect you to LETS FIT! 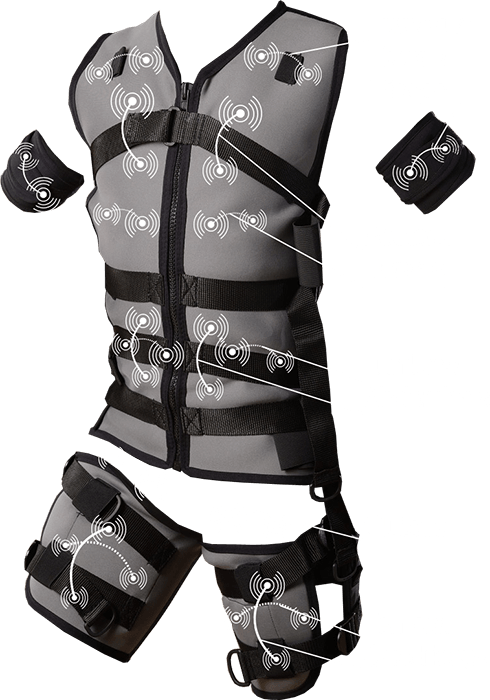 EMS (Electro Muscle Stimulation) exercises are performed under the control of a specialist, wearing a special suit and according to a customized program. During other exercises, our brain sends electrical signals to the muscles to stimulate them. In EMS training, the special suit that we wear while we are doing sports sends low frequencies and intense electrical vibrations from the outside in addition to the electrical signals that our brain sends to the muscles. These signals stimulate the muscles contracted during exercise and also stimulate the muscles that are difficult to reach and difficult to work with..
What is the Main Difference from Other Training Types? With this method, muscles spend little effort and work with higher performance. With EMS training (it can take only 20-25 minutes), you can get the same result achieved from other sports for a long session. In general, with a 20 minute EMS session once a week, you can throw your lashes over and you can enjoy sports and enjoy your muscles. You can have a healthy, vigorous and vibrant body structure with 20 minutes of short training performed once a week (according to your schedule). You can easily get rid of fat in your belly, excesses on your waist and unwanted cellulite with your exclusive EMS training. You can reach your goal in a short period, save your personal time and finally enjoy the benefit of other relaxing effects on your psychology. It is a natural advantage of the EMS training that you ensure that non-sports people do regular sports and that you are feeling more vigorous and motivated as a natural result. Official works on this area has shown that there is no harmful effect on healthy people who can physically exercise sports and fitness. On the contrary, there are many benefits. You may have a question as to whether the low-frequency electrical current supplied to the muscles during training can be harmful. Since the current is low frequency, it only activates the skeletal muscles. However, you must be under the control of a qualified trainer and you should be healthy for some conditions to join EMS training. Copyright © 2016 Letsfit. All rights reserved. All the images on the site belong to Letsfit. It can not be used without permission and can not be reproduced. Letsfit reserves the right to make changes to all content. In case of violation of all content and documents to be copied from the site, legal action shall be taken against the user by resorting to legal remedies.